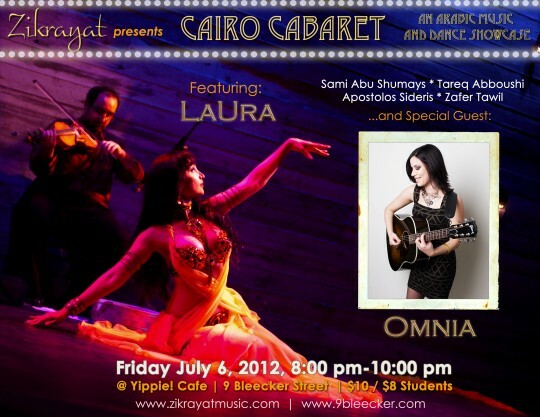 Cairo Cabaret with Zikrayat and LaUra @ Yippie Cafe! LaUra performing with Zikrayat, this time at the beautiful Yippie Cafe! Also featuring the extraordinary singer songwriter Omnia Hegazy! DONT MISS! Get on the floor and dance to live music from New York’s hottest Arabic band, Zikrayat.